In addition to the right coffee maker, the coffee grinder is an integral part of preparing a tasty cup of joe. A coffee grinder does more than grind coffee beans. It ensures the full taste and aroma of coffee comes through during the brewing process. 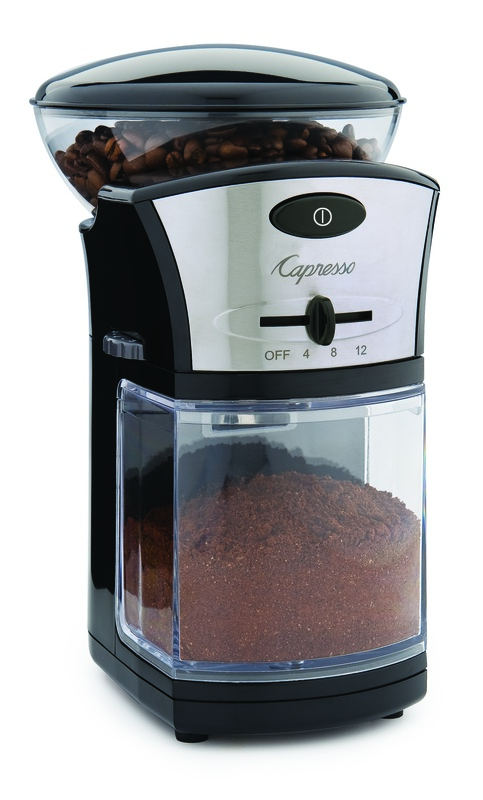 Whichever type of grinder you prefer, Capresso sets the stage for the perfect cup of coffee. The Cool Grind Blade Grinder features a large stainless steel grinding chamber that reduces heat build-up and preserves aroma. In addition to grinding whole coffee beans for flavorful drip or percolator coffee, this grinder offers the versatility to grind a variety of dried spices, such as peppercorns, coriander seeds and flax seeds. Whether you enjoy your java from a French Press, coffee maker or espresso machine, the Capresso Burr Grinder offers 17 grind settings so you can select the ideal grind for any brewing device. 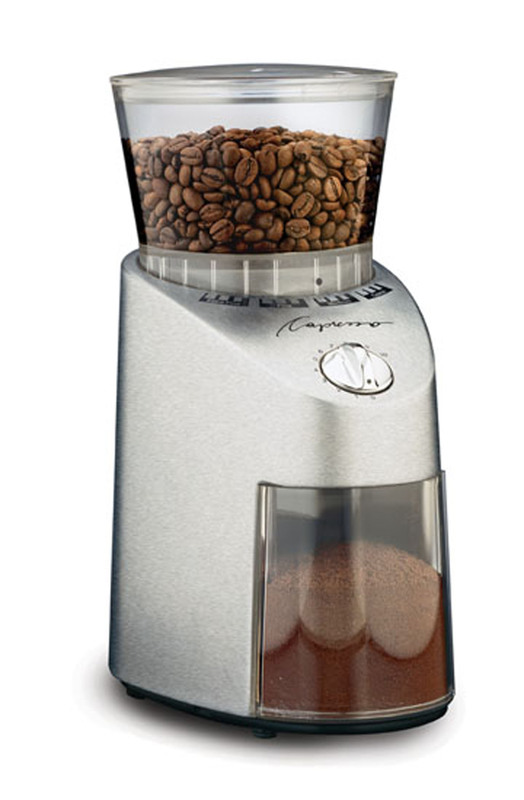 Capresso’s most economical burr grinder, delivering a highly consistent grind. The top of the line, the Infinity Conical Burr Grinder features professional grade conical steel burrs that deliver maximum aroma and flavor retention at a full range of grind settings, from Turkish fine to coarse. Gear reduction motor produces the slowest grinding action, with little static build-up and the lowest noise. 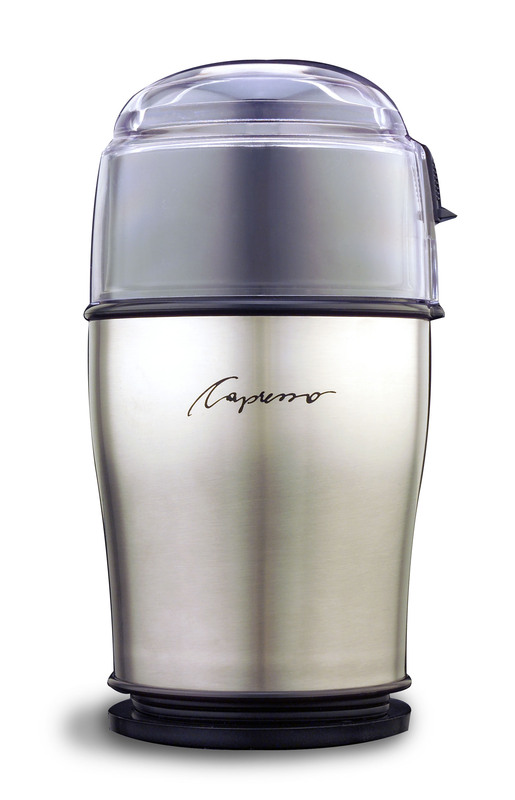 To learn more about Capresso’s line of coffee grinders, please visit Capresso.com.